Hip-hop royals' petition to trademark Blue Ivy gets rejected, but at least the commander in chief has their back. 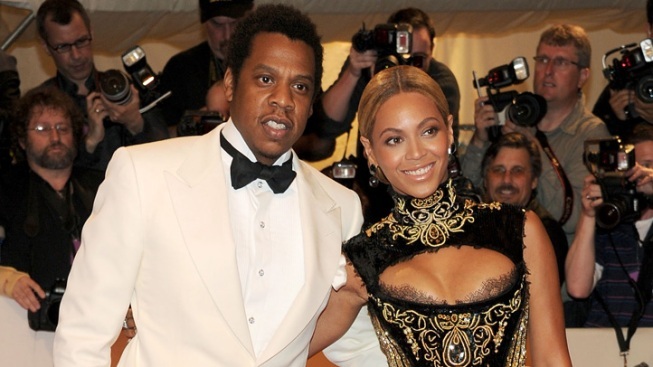 In this file photo Jay-Z and Beyonce hit the red carpet for the Costume Institute benefit at the Met. in New York. They can say her name--they just can't keep it for themselves. Beyonce and hubby Jay-Z have lost their legal bid to trademark their baby daughter Blue Ivy's moniker on account of a Boston-based event planning firm, which has been going by the name Blue Ivy Events since 2009. The superstar couple filed a trademark application shortly after Blue Ivy's birth in January 2012 reportedly because Beyonce wanted to put out a line of children's clothing. 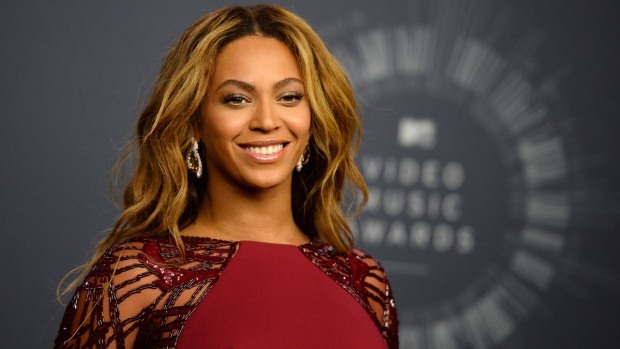 However, according to the Boston Herald, the U.S. Patent and Trademark Office sent the hip-hop royals a letter turning down their petition to retain "Blue Ivy" for their own business ventures and siding with Blue Ivy Events owner Veronica Alexandra, who was forced to defend her company's good name. The ruling means Blue Ivy Events can continue to operate under its current designation. But the firm doesn't hold anything against Bey and Jay, posting a photo of the pair on its site with the caption, "Congrats to our SOUL MATE Couple with Baby Blue Ivy!!!" While they may be disappointed, Beyonce and Jay-Z can now get back to the business of being first-time parents to Blue Ivy, efforts for which they received the presidential seal of approval after Barack Obama took time out on the campaign trail to offer up some unsolicited advice to the twosome. "I made sure that Jay-Z was helping Beyonce out [with the baby], and not leaving it all with Beyonce and the mother-in-law," the president told Cleveland radio station Z107.9. Obama also talked about his blossoming friendship with the duo ever since Beyonce sang at his inauguration. "They're good people. Beyonce could not be sweeter to Michelle and the girls. So they're good friends. We talk about the same things I talk about with all my friends," he said. Blue Ivy definitely has a good fashion mentor--her mom!